First, I’d not only recruit my local friends but would fly in my closest friends and cousin from Puerto Rico to join in the fun. We would all check-in at a trendy hotel and catch up over drinks at the bar. Then, we would take the party to the room where among music, champagne and clothes we would get ready for our ultimate girls night out. (I would wear a short dress and cute heels!) A limo would pick us up at the hotel and take us to a modern and delicious restaurant to have dinner, and from there… VIP section at a club where we would enjoy the music and some dancing from the comfort of our private spot. The night will end with the limo taking us back to the hotel (probably with all our shoes off after all the dancing) and sharing a recap of the night with a slice of pizza in our hotel suite. 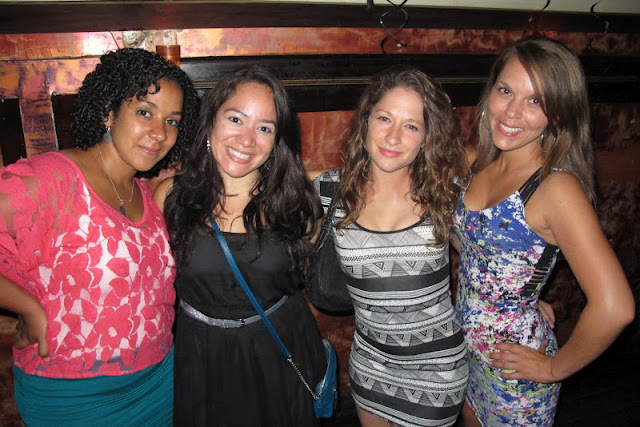 What do you think about my ultimate girls night out? What if you could experience a similar night with your friends? Hpnotiq, the refreshing blend of premium french vodka, exotic fruit juices and a touch of cognac, wants you live louder by having the night of your life with your friends in Las Vegas. They are hosting the Live Louder Dance-Off, giving you the opportunity to show them your moves and be entered for the chance to win a weekend in Vegas with up to 3 of your friends. The prize includes a 2-night stay at the Hpnotiq Super Suite, a private dance lesson with Maksim Chmerkovskiy in Los Angeles and $1,000 cash! All you have to do is capture yourself in a video dancing to your best moves for 30 seconds and upload it here. If you are not ready for video, you can also submit a picture of your best dance move here for the chance to win one of the Hpnotiq weekly prize packs. Get your friends together, get dancing and enter the Live Louder Dance-Off to take your party to Vegas! Good luck! 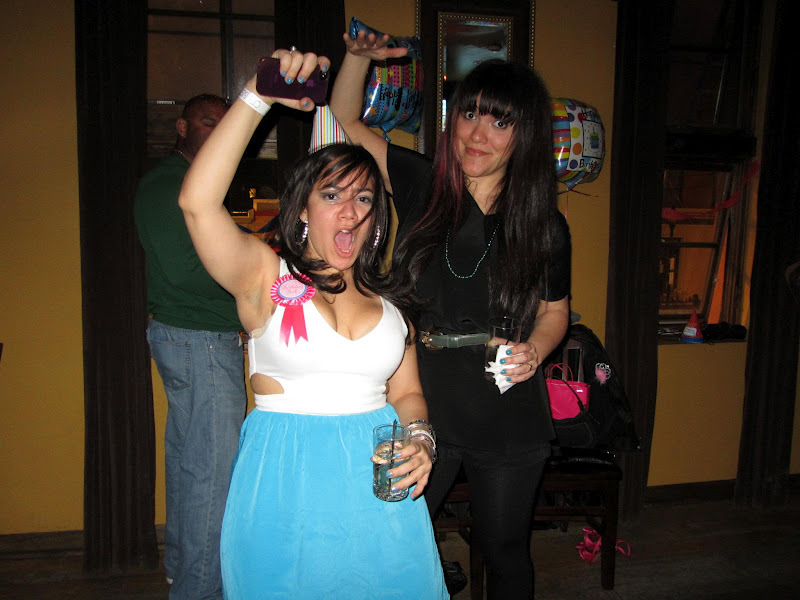 And… to make it fair… this is me fist-pumping at my birthday party. Enjoy! I tend to not think of things in gendered terms, with the exception of fraternity events. I enjoy all of the things that are often “traditionally female” about “girls nights out” and there have been a few times when I have been disappointed about not being asked to participate in certain types of activities based solely on my biology. please check out my blog and follow me if you liked it. I’ll appreciate it so much! Thanks!